You think he might be a keeper. Your nights of clubbing and endless bars may soon be over. This guy has his stuff together. Good job, good looks, no girlfriend (as far as you can see) and he has invited you to go…. camping? You’re dying to be alone with this guy, but when you open your closet, there are platforms and sequins for as far as the eye can see. What would Hiker Barbie do? After checking out some options, you compromise on skintight skinny jeans rolled up to reveal hiking boots, a down jacket, ski hat- oh, and a really cute backpack with all your nice undies in it for later that night. All set? Wrong? You forgot to shop for your skin products. Unfortunately, just being in nature does not guarantee, in fact, quite often, the opposite is true. Mother Nature can be wicked. Make sure your skin is prepared! Maybe the bugs you are used to are more of the cockroach variety, but nature does have quite a few different insects in her apartment and they are hungry for your blood. (Cue horror movie music.) You’re going to need bug repellent. If the health of your skin is a main concern, you probably want to choose a natural repellent. Your skin gets enough toxins on a daily basis. You don’t need more in your bug repellent. While drinking water is a great way to keep hydrated, much of that H2O will come out in your sweat. Fruits and vegetables are cellular structured to hydrate you for longer time periods and provide additional nutrients for your skin, Remember to pack fruits and veggies if you are concerned about rehydrating your body and keeping your skin healthy and glowing. Sunblock should be in the picture any time you’re spending an extended time outdoors, and if you are hiking, you are going to be doing just that. Use water resistant sunblock which will stay on the skin for a longer time and will not be diluted by sweat. The UV rays of the sun can break down collagen, creation age spots and sun spots. Make sure you have some form of sun protection lotion in your back pack and reapply every two hours. A wide brimmed hat is also recommended. After coming back from a long hike, your skin is likely to be a melange of layers of sunblock and bug repellent, mixed with dirt, sweat and air pollution. Make sure to clean up with a face wash and moisturizer. If you are a regular hiker, you should be aware of how exposure to the environment can affect your skin. You may want to check out serums and creams specialized to fight the effects of radical damage and pollution. Good luck on your hike and make sure you engage in safe skin practices! Reports state that at least 1/3rd people suffering from skin blemishes or acne find a connection between the food they eat and the condition of their blemishes. Although there are no studies to prove the connection between certain food items and skin condition, dermatologists across the world believe that the diet definitely has a major effect on the skin. But, exactly how can a healthy diet lead to great skin? Well, in most cases, skin blemishes occur because of problems with the turnover of your skin cells. This leads to things like retained cells, which cause your oil glands to block and ends up trapping the sebum under your skin. This sebum triggers skin conditions such as acne. There are a number of ways to improve your skin, one of which is to eat the right kind of food. Since the human body is constantly under construction, it requires the necessary nutrients and vitamins on a regular basis. However, despite its importance, a healthy diet accounts for just 25% when it comes to great skin. The other 75% depends on things like the environment, sun damage, stress, sleep patterns, skin care routines and hormonal changes. Despite accounting for just 25% of the problem, regulating your diet can go a long way in preventing skin problems. The more you eat junk food and fatty food items, the less vitamins and nutrients your body has to play with. This leads to health and skin issues and causes infrequent breakdowns and skin issues. To keep the skin properly nourished and protected and to ensure that you look younger and healthier, you need to focus on offering your body with the following nutrients. Beta-carotene, an anti-oxidant that is extremely critical for the overall health of your skin, gets converted into Vitamin A and involves itself in the process of repairing and growing your body tissues. Beta-carotene can also go a long way in protecting the body from sun damage. Some of the best sources of beta-carotene include mangoes, carrots, apricots, sweet potatoes, pumpkins, red bell peppers and cantaloupes. Vitamin C helps your body to increase the protection of collagen which allows your skin to look healthy and beautiful. It also acts as an antioxidant and protects your body from free radical damage. According to studies, Vitamin C fortifies the food and gives the skin enhanced protection to fight oxidative damage. Therefore, offering the right amount of Vitamin C to your skin is extremely important. The best way of doing that is to eat things like oranges, broccoli, snow peas, bell peppers, mangoes, watermelons, strawberries and tomatoes. Vitamin E is responsible for protecting the cell membranes and guarding the skin from the damage caused by the harmful UV rays of the sun. According to studies, Vitamin E works best when combined with Vitamin C when it comes to offering the body with anti-aging protection. The best way to obtain Vitamin E is by eating food items such as wheat germs, olive oil, spinach, nuts, whole-grain cereals and Swiss chard. Selenium is an antioxidant that protects the skin from the damage caused by the UV rays of the sun and maintains the elasticity and fairness of the skin. Selenium can even help the skin to protect itself from some types of skin cancers. Some of the best sources of selenium include crabs, whole-wheat pasta, whole-wheat bread, eggs, mushrooms, oysters, tuna, turkey, eggs and wheat germs. Omega-3 Fatty Acids help your skin to maintain its cell membranes and build barriers to allow the water and nutrients to come into the skin, but keep the toxins out. Omega-3 fatty acids also help in reducing inflammation, reducing the number of skin breakouts and protecting the skin from sun damage. 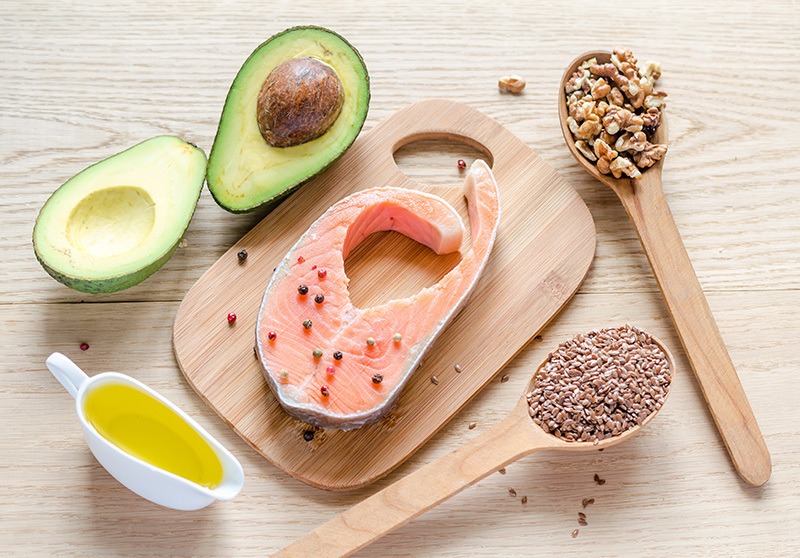 According to studies conducted for skin cancer, people who had diets that were rich in omega-3 fatty acids lowered their risks of getting squamous cell skin cancer by 29% compared to those who did not have adequate quantities of omega-3 fatty acids in their body. Some of the main sources of omega-3 fatty acids include soybeans, wild salmon, mackerel (except king mackerel), herrings, sardines, walnuts and anchovies. Skin is the mirror of a healthy life style. Healthy skin comes mostly from good genes. Thankfully there are several other factors which we CAN influence that contribute to radiant skin. Things like exercising, eating right and the proper beauty regimen all have a hand in giving us healthy skin. It is often said that pregnant women have a “glow” about them. We would love to have that incandescent lit from within glow, but how do we get it sans pregnancy? Starting down the path of healthy eating as a simple first step. Read on to check out Vine Vera‘s list of the healthiest things to ingest for great looking skin. Keeping yourself hydrated is an essential component of glowing and radiant skin. Daily healthy activities like leading an active life style and exercising causes you to sweat. This is great because perspiration helps flush toxins from the body. Through this process not only do we lose toxins but we also lose a lot of water. Since our bodies are primarily made up of water it is essential that we refill. You need to drink at least 3 liters or 8 glasses of water every day. This process allows the body to keep the skin cells hydrated and rejuvenated. Once you feel thirsty, you are already dehydrated so make sure you drink plenty of water throughout the day before it feels like a necessity. Produce is one of the main ingredients of healthy diet. Eat lots of fruits and vegetables to keep your body healthy. Fruits and vegetables are very good for your skin helping to maintain radiant and glowing skin. They contain innumerable amounts of vitamins and minerals. While these days it’s easy to pop a pill in place of eating your way to health it is definitely a lot better for your health to eat your vitamins and minerals. Opt for getting benefits from whole foods including fresh or frozen vegetables. When you can go organic and choose produce that is in season. This way it is sure to be the most fresh and still retain the most beneficial properties. 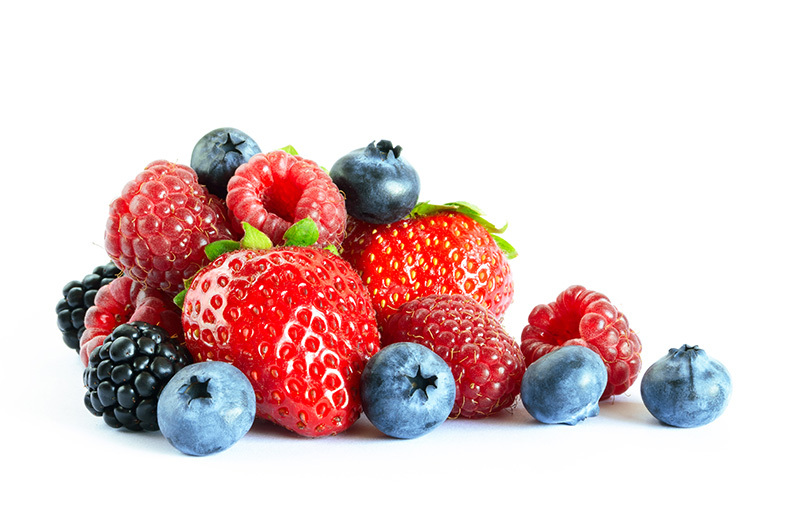 Berries are one of the best picks for nutrient dense types of produce. Strawberries, blue berries and black berries are very rich in antioxidants which help to protect our skin from free radicals. Antioxidants such as Vitamin C, Anthocyanin and Ellagic Acid all offer skin powerful protection from environmental stressors and premature aging. Berries also have some anti-inflammatory qualities that prevents the appearance of acne, pimples and various other skin irritations. Healthy skin also depends on the types of fat and oil you include in your diet. Saturated fat like margarine and fast foods are bad for the health of your body and skin. Acne is a common problem often caused by consumption of fatty, oily and fried food. Omega-3 fatty acids, on the other hand, are very good for the skin. They are responsible for the health of cell membranes in the skin. The cell membrane is responsible for passing nutrients to cells and acting as a protective barrier that protects your skin from various toxins. You should eat foods that are rich in fatty acids like Omega 3 like salmon, walnut seeds and flax seeds. Your skin works as a defense system of our body. Take care of it so it can take care of you. 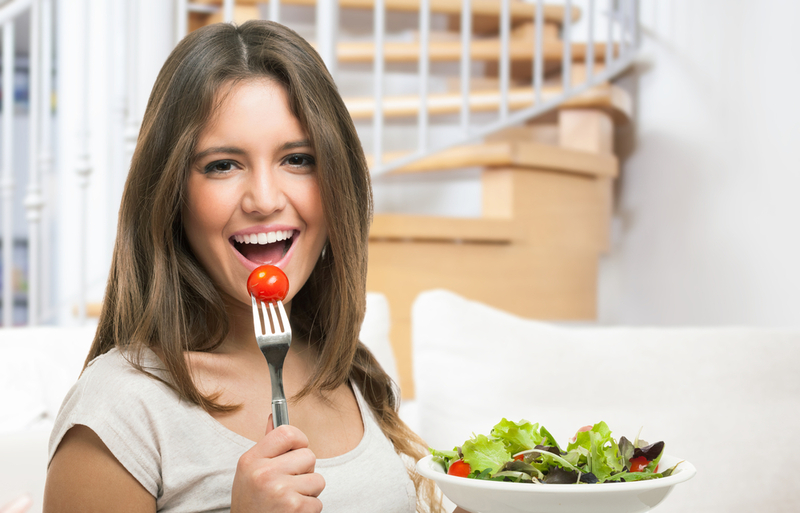 Eating healthy is one of the best ways to take excellent care of your skin. Stock up on water, produce and healthy Omega-3 fatty acids to eat your way to radiant skin. Which of those do you crave most?